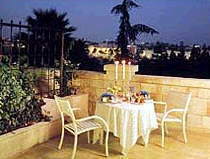 The King David Hotel is a legend in Jerusalem. 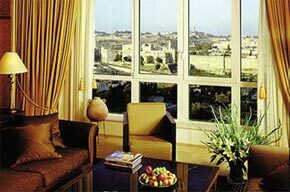 One of the most elegant and luxurious hotels in Israel, the King David is part of Jerusalem history. The hotel is located in the heart of the city, with views of the ancient Old City walls. It is where people who make history rub shoulders with people who come to see it made. 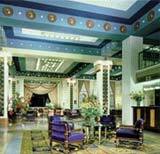 The famous hotel is also the traditional host to diplomats and experienced travelers. A unique combination of modern facilities and traditional atmosphere. Dining: La Regence for elegant dinner, serving traditional and contemporary cuisine. King's Garden Dairy Restaurant. Both restaurants overlook the Old City. 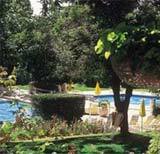 Recreation and Health: Pool, tennis, and fully equipped fitness center, with exercise room and masseur. Children's pool. The King David Hotel has 202 rooms, 35 suites. Oriental Bar, lobby lounge. Shopping arcade. Meeting rooms, convention, and banquet facilities. 24-hour room service. Butler service. Fully air-conditioned. Cable TV, CNN, In-room safes. Business center. High-speed Internet connection in guest rooms.